My trip to Ohio happened at a perfect time as I transition from Humboldt County, California to Pierce County, Washington. At least I think it’s Pierce County. I’ll have to double-check that someday. Here’s a photo journey…if I can figure this out…. And that would be a ‘No.’ It looks like I’d have to download those pics from the cloud…so that’s not going to happen for a while. Sorry. 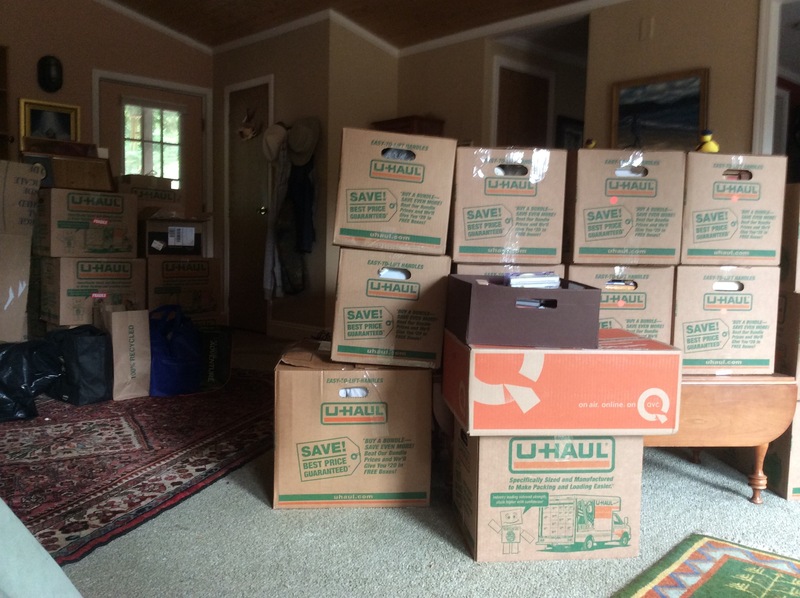 I’m going to be filling up a UHaul pod with boxes so that Mr. Al and I will have more room to pack more boxes. Here’s a sample…there are plenty more in the garage and kitchen. Ah the joys of moving! No need for the gym today. These boxes are mainly books. Oh my goodness! Moving fast, you are! It happens that way in my world. When the timing is right, you just have to hang on and go with it. And trust that the pieces are falling into,place because they’re meant to. Yes, Pierce County. Looking forward to you being up here, and also to the Granville pix!